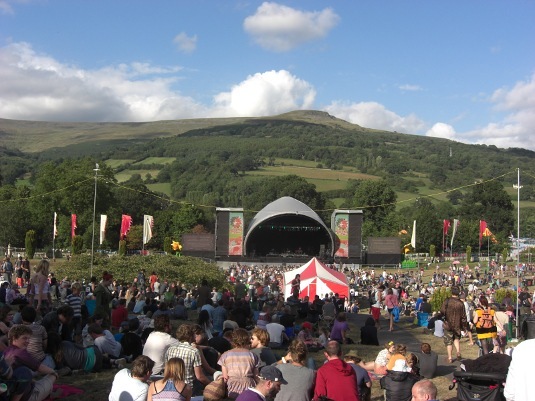 I attended this year’s Green Man Festival, held at Glanusk Estate, South Wales, on 19-21 August 2011. Our journey to the site started with an epic coach journey leaving Paddington Thursday 18 August in a near-apocalyptic rain downpoar. Thankfully, the weather improved during the journey, and on arrival Christina, Steve, Des and myself swung into action by implementing our well rehearsed plan to erect our tents in the dark using two torches. The festival site, held in the magnificent Brecon Beacons, has microclimate conditions, resulting in rapidly changing weather conditions. In the main the weather was fantastic, testified by my sunburn on the Friday, and the subsequent use of Christina’s scarf on Saturday as a protective measure! Along with a wide range of food stalls, the festival also had five bars providing 24 hour coverage, giving plenty of time to savour the specially brewed Green Man Growler bitter in all the bars, and the Hallets cider in the Courtyard Bar. With its laid back but organised style, and family-friendly environment, I can understand why Green Man won the 2010 UK Best Medium Festival award. 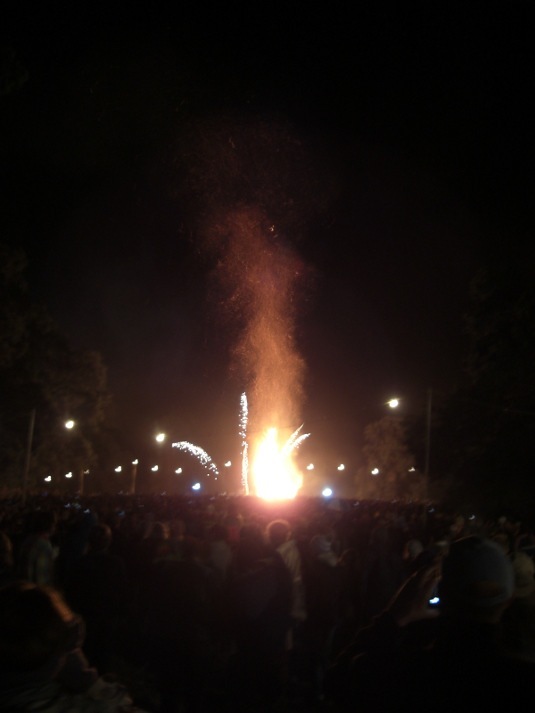 Pictured above is the burning of the Green Man effigy on the Sunday night. Green Man – highly recommended: I’m putting it in my diary for 2012!